As our company’s activities are turned to reliability and responsibility for safe use of our products, we pay special attention to assortment quality. 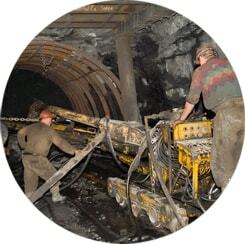 Growing recognition of our fastening systems among customers is a result of many years’ whole staff’s effort and application of modern management and control systems. Many years of cooperation with iron and steel works, galvanizing plants and other cooperators is now resulting in delivery promptness, quality and safety of our products. Today we produce and sell a wide range of products such as threaded rods, expansion anchors, metal holders for pipes, and nuts. For all our articles we have technical approvals issued by COBR Metalplast (currently ITB). 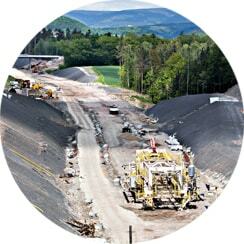 Total offer supplemented by items such as steel ropes, screws and more, comprises a few thousand products. The assortment is composed in order to satisfy customer needs and to suit world wide tendency. We would also like you to pay your attention to our extensive distribution system. Every year of our existence on the market, we extended our business activity to all significant industry centers in Poland. Currently, DROMET’s products are available almost everywhere in the country. The company has extended its distribution system to European countries and today we cooperate with partners from Germany, Russia and Ukraine. We invite you to familiarize with our offer. For more than 10 years we have been giving an extensive and professional service to our customers, always providing the best quality products. 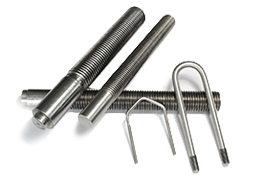 We offer a wide assortment of bolts, rivets, chains and many more articles connected with fastening. Our products are always made of the best quality materials, therefore they are of the highest standard. We put much effort in developing our production process and quality control techniques. For our products we have technical approvals and certificate of conformity, which can be accessed by our customers. 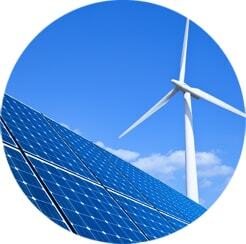 As the producer we are able to provide a great quantity of goods, the parameters can be adjusted to customers’ needs. We easily provide atypical sizes and types in fields where our competitors limit their offer to common standards. 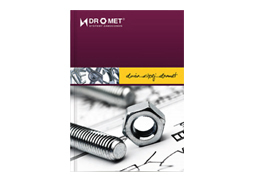 Dromet company applies a quality system in line with the above standard for the fallowing scope: manufacture and sale of fastening elements as well as trade in metal technical goods. 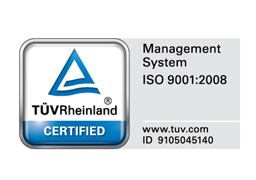 This certification was conducted in accordance with the TÜV CERT auditing and certification procedures and is subject to regular surveillance audits. Certificate Registration No.75 100 30948. 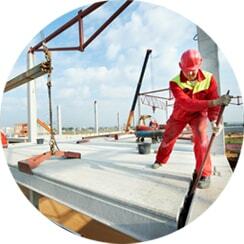 We are a leading manufacturer of fastening systems and fasteners in Poland. Recognizing customers is of the highest quality, ensuring full security in their use. Thanks to the technical approvals and attestations offered, the assortment meets the European and world safety standards. Our offer is complemented by imported products. 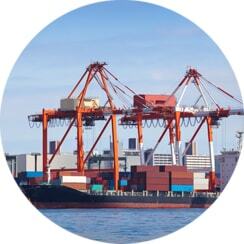 We have extensive experience in import large quantities of products. Long-term experience guarantees high quality of imported products, timely delivery and excellent prices. We encourage you to familiarize yourself with our catalog offer.